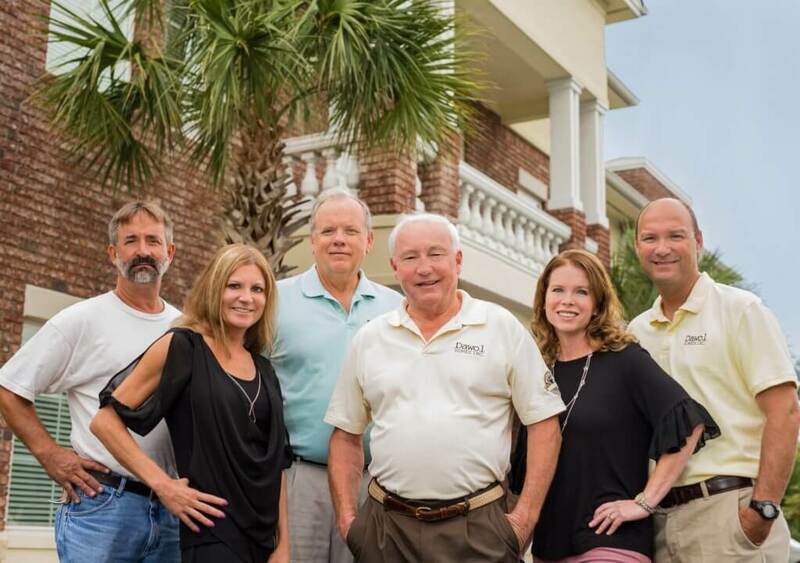 Dawol Homes is a premier Custom Home Builder located in Myrtle Beach, SC. Founded in 1996, each year Dawol Homes has grown given its commitment to exceeding Customer Satisfaction. David Wolons, owner and President, moved to the Myrtle Beach area in 1996 from West Boylston, Massachusetts. With many years of experience as a General Contractor, David started Dawol Homes with a desire to build homes with quality and unique features for each and every homeowner. Over the years, the company has expanded to provide more than just custom homes. Among the Dawol Homes offerings are: house/lot packages, plan design, home remodeling, and Commercial construction. The Dawol Homes Office and Sales Center, located on Highway 544, is well positioned to handle an area ranging from Georgetown, South Carolina to Shallotte, North Carolina. The company has also built in Pawleys Island, Litchfield Beach, Murrells Inlet, Surfside Beach, North Myrtle Beach, Conway, and Calabash. The Dawol team works together efficiently to make your custom home experience a pleasant one. Each member of the Dawol team works diligently to ensure that the customers are 100% satisfied. We at Dawol Homes strive for only the best for our customers. We design floor plans and elevations, help customers make selections for the interior and exterior of their home, organize and supervise the day to day construction, and communicate with our customers each step of the way. Dawol Homes is not just a company, it is “Family”. Our “Family” is dedicated to meet your needs and make your new dream home a reality. Obtain 100% Customer Satisfaction. Dawol accomplishes this by being Professional in every aspect with Unquestionable Integrity. Create a stimulating environment for Team Players, with rewards for Innovation & Job Ownership and Setting the Standards for Others to Follow. People’s lives are the by product of our home. We want to make them a warm and enjoyable environment.